I visited the Kopper King cabin a week ago and thought it was pretty neat. It's probably the easiest of the local cabins to get to also. It looked a little bit to me like some people tried to obscure the last turn about a couple miles from the cabin. Other than that it was pretty easy to get to. I'd give directions, but I can't remember how far down Nadeau Road you go before turning west towards the old Onyx Mine. The road gets a little bit rough after you pass by the Onyx Mine site, but other than that the cabin is easy to get to. The Minietta Cabin is probably just as easy and maybe just a little nicer than the Kopper King Cabin IMHO, but the nicest cabin by far is Briggs. The problem is that one's a little more difficult to get to. There are a couple over on the other side of the Panamint Range if you drop down over Mengel Pass that are nice too. I don't sleep in the cabins though since they're either like rat nests or they're full of toxic fumes left over from attempts to kill off the vermin! However, I do recommend visiting the old cabins ASAP before they're all gone. Sooner or later time takes its toll one way or the other. I heard something about an outhouse that was installed by one of the cabins in Butte Valley. There were complaints about it being an eyesore and something about a problem with it being too close to a water source. Anyone been by there lately? Does anyone know anything about a cabin that is located about a half mile beyond the Manson Cabin? I heard that there is a really nice one up there. Manson Cabin: Well, there's two cabins in the upper portion of Goler Wash. One's called Barker Ranch and the other is called Meyer Ranch. The one at the end of the road is privately owned and nicely maintained. Not sure who owns it, but it's a nice place for a weekend getaway! I heard a rumor that the BLM is talking about closing the bridge above Brigg's Cabin and the road up to South Park Canyon. That would make it necessary to hike in from either direction in order to get to the cabin. The rumor is that Feinstein is trying to create more wilderness and that the BLM is trying to close down sites that draw large numbers of people to the Panamints. They seem to think that off-roaders are irresponsible and cause destruction to the environment and that they leave lots of trash behind when they visit the area. My experience is the exact opposite, but the enviromental nuts seem to have a lot of influence on politicians. whiskeypete: I heard that rumor too, but I'm pretty sure it's just some guys trying to discourage others from heading up to the cabin. It's a great weekend get away spot, but the problem is that it's first come first serve and usually this time of year someone lands there Thursday evening so all his friends can stay there on the weekend. It's a popular spot and lots of people know about it. same goes for other local cabins. 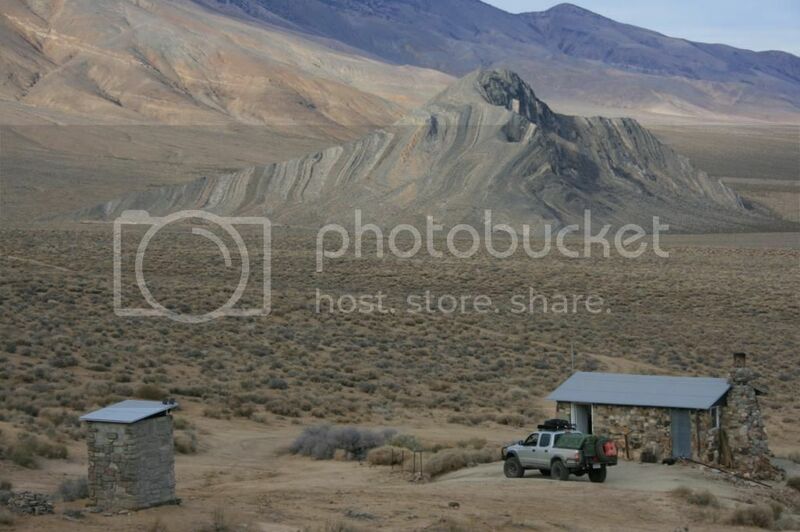 The Stone Canyon Cabin was pretty nice a few years ago, but it's getting pretty run down since the BLM closed the road to it. The BLM has cutoff access to a lot of places and as a result a lot of neat locations have deteriorated. The BLM should respect the rights of Americans to visit sites in remote areas. Not everyone can hike into these locations. Has anyone been to the cabin in Osbourne Canyon lately? That used to be a pretty nice cabin. I never did figure out where they got their water from. My best guess is that they had to truck it in, but other than that inconvenience, that cabin would have been a great place to spend some time at.